The Department of Veterans Affairs opted to adopt a commercial off-the-shelf platform to manage its electronic health records by awarding a sole-source contract to Cerner in June, E-Commerce Times reported Friday. The commercial EHR system from Cerner will replace VA’s current VistA platform and is designed to be interoperable with the Defense Dapartment’s EHR tool. 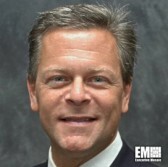 DoD selected the team of Cerner, Leidos and Accenture in 2015 to integrate a commercial EHR platform across the Military Health System under a potential 10-year, $4.3 billion contract. The MHS Genesis platform “was designed with system interoperability in mind,” said Jerry Hogge, Senior Vice President, Defense Health & International at Leidos. “The VA secretary’s decision to accelerate getting the DoD and VA on a common electronic health record system represents a profoundly important milestone for our nation’s veterans, their families and beneficiaries,” Hogge added.